Find estate sales from one of the best estate sale companies in Wichita, KS. We offer estate sales, appraisals, and estate liquidation services. Call today! BTC have expert estate and letting agent in north London which is specialising in houses and flats for sale and to rent across Barnet, South Gate, Palmers Green, Arnos Grove and Bounds green. Serving the Halifax Regional Municipality and surrounding areas, HANOVA Property Maintenance is a professional, full-service property maintenance provider satisfying commercial and residential snow and ice management, landscaping, lawn care and Rental preparation. CenterBeam Real Estate in Jacksonville, FL can help with all of your real estate needs including property management for single family homeowners and multi-family owners & investors, as well as buying, selling, and renting homes. WaterStone Group is an investment company whose passion is real estate. We love to find ideal properties in the New York City area that are ripe with potential investment opportunities for our clients. Casana Homes is Omaha's most trusted house buying company. With years of experience, and accredited with the BBB, we buy and Sell throuhgout the Omaha area. NSW Probate practices in all areas of probate and estate administration including succession planning, from drafting simple wills to more complex wills involving testamentary trusts. We can also assist with long term Elder Care arrangements. If you are seeking for a best search engine that lists Pakistan properties, real estate agents, builders and developers to buy sell and rent properties in Pakistan, visit next home pk. 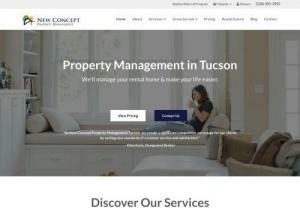 Oceanside Property Management & Rental Services. Utopia Management is a full service San Diego property Management Company. We are the largest San Diego property management company managing individual units throughout Southern California. City Properties Real Estate is one of the leading local property management for Rent, Sale and Investment properties across UAE. Contrax Properties is a multi-global property agent, with a diverse development portfolio of over 10,000 units at various stages of design and planning within the UK and all over the world. Bangalore is home to so many flats, both for rent as well as for sale. And 1 BHK flats are in high demand due the less price and more easiness in maintaining. Recently many prestigious real estate companies have come up with 1 BHK flats for sale in Bangalore. In Chattanooga, TN, if you need efficient property management services provider contact Open Doors Property Management. Visit our site for more details. In Raceland, LA, if you are searching for the top home inspection company then contact Morgan Home Inspection, LLC. For service related details visit our site now. Looking for a company that offers professional property management in San Antonio? Red Wagon tailors its services to investors, homeowners and landlords to give you the services you need to manage your property. Tenants won't need an agent to look at the property because we are licensed real estate agents who act as your leasing agent. Property management company in Bangalore for NRI's and Resident Indians - Rent out your house in Bangalore without making a single trip. Sangau offers hassle-free property management service in Bangalore. Jardim Property Group is a diversified property group located in the Perth area. Specialising in residential and commercial developments and investments. As Pilbara region residents ourselves, we feel so lucky to live in such a stunning and friendly place. We enjoy a thriving local community along with some excellent facilities.